Soft white winter wheat grows at the WSU Research Center. These notes from a recent tasting look a lot like a critic’s assessment of wine or possibly coffee. But Jones, a plant geneticist, is judging breads. The loaves were baked using the wheat grown in the ripe amber fields outside his new Bread Lab, just south of Bellingham, at the Washington State University Research Center, where he is the director. The Bread Lab at WSU. The lab, stocked with sacks of flour and stacks of baking trays, is focused on small-scale wheat grown regionally. That’s a sea change from just a few years ago. Then, the first “100-mile dieters” searched futilely for local wheat to grind into flour. Although the crop was common in many Western fields in the 19th century, local wheat became scarce when food production became industrialized and centralized. But today, a stunning array of wheats is coming back: heirloom Red Fife, a flavorful wheat that adds loft to whole-wheat breads, though its low yields make it impractical for mass production; stubby Sonora wheat, a drought-tolerant white variety grown for tortillas in the 1880s; even rarer Ethiopian Blue Tinge emmer farro, a rich-tasting chocolate brown variety. Why the comeback? A desire for more choices, and more personality than mass-market flours blended from countless fields. Also, since these wheats are grown, milled, and sold locally, they’re fresher than typical supermarket flours. They’re milled very differently from large-scale commercial wheats too, and many in the field think they’re more nutritious as a result. The mills are small-scale and cool-temperature (to preserve nutrients) and the entire wheat berry, or seed, is ground whole; some call it “whole milling.” By contrast, big-scale millers separate parts of the grain during processing, then recombine them for whole-wheat flour; it keeps longer but has fewer vitamins. Though these local wheats can be less predictable to work with, bakers say their biggest payoff is sheer savor. Sprouted wheat grain at the Bread Lab. When George De Pasquale, a pioneer of the Northwest’s artisanal baking scene and owner of Seattle’s Essential Baking Company, sampled Jones’s wheat, he was floored by the flavor—even after 35 years in the business. The flour gave the bread subtleties like those in a good wine. 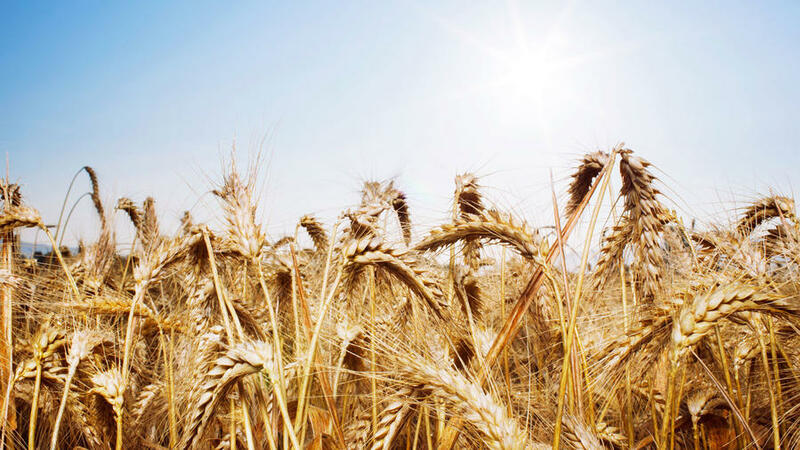 The Bread Lab will help develop wheat for good flavor, nutrition, and a whole range of other goals, with researchers growing more than 40,000 strains annually in the WSU fields. Working with farmers, millers, and bakers, the lab’s projects range from the everyday (helping a pizza maker determine whether there’s enough protein and elasticity in his dough) to the more grand (improving an early-maturing strain of wheat for Alaska’s harsh climate). A walk around the Bread Lab makes it evident what a science baking really is. One countertop machine heats and dissolves starch to determine the suitability of the flour for bread. Another machine slices dough onto proofing squares that go into a contraption resembling an Easy-Bake oven. It puffs in air, seeing how far the dough can stretch without breaking. And a steam-injected oven test-bakes everything from pizza to sandwich loaves. But bringing grains from seed to table is about more than science. It requires rebuilding a local infrastructure of farmers, millers, and markets that hasn’t existed since the 1900s in the coastal West. Flour samples at the Bread Lab. The flours also need extra attention from bakers accustomed to following a standardized recipe. Some flours may need more moisture to make a workable dough; others might need less time to proof. “We’re just at the beginning,” says Bob Klein, founder of Community Grains, an Oakland-based consortium that produces home baker–friendly flours and pastas and educates people about local grains. Klein sees these flours becoming as prized as heirloom tomatoes are today. Local wheat is “like cooking with a new ingredient,” he says. Ponsford says that until this point, his career had been pretty one-dimensional. Now he plays with different wheats and is getting to know farmers like Doug Mosel, in Mendocino, California.